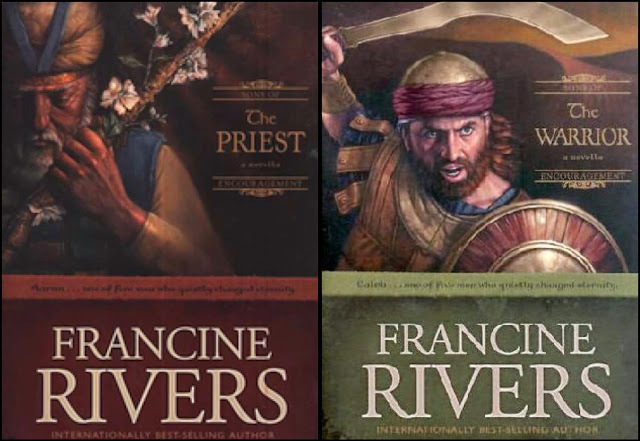 I read Francine Rivers's Redeeming Love and Lineage of Grace and loved them so much that I also purchased her series of five books on the Sons of Encouragement. I have read The Prophet (Aaron) some months ago and I have just finished reading The Warrior, which is on Caleb. I wonder if it's just me but I didn't enjoy them as much as I have enjoyed the Lineage of Grace series especially the ones on Tamar, Rahab and Ruth. Maybe I was already too familiar with the accounts of the exodus to find The Priest more than just a summary. And The Warrior was too much about wars and fighting to really engage me. In fact, Rivers's portrayal of the main characters were not as good as the ones she did with the ladies in the Lineage of Grace, at least in my opinion. I'm now reading The Prince, the story of Jonathan, and so far I found it quite promising. Let's see how it will finally torn out.